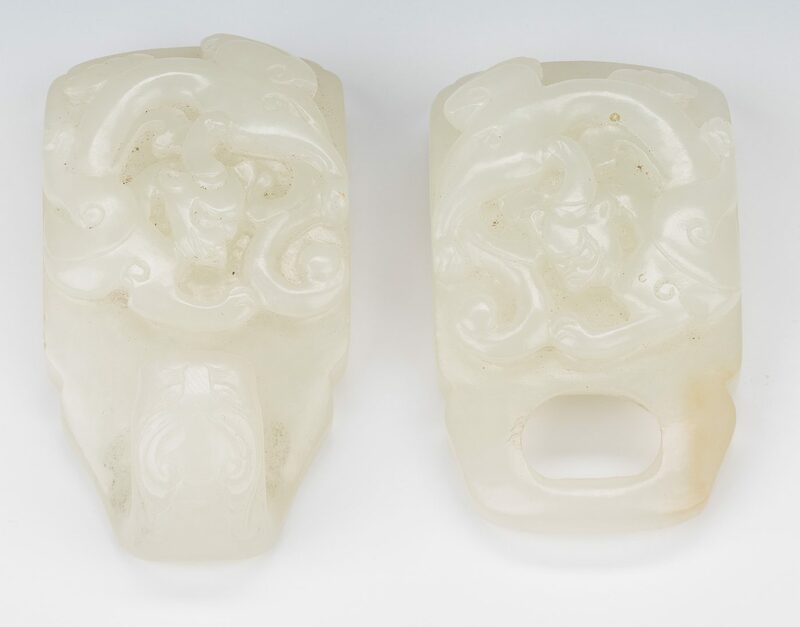 1st item: Chinese pale celadon jade double belt buckle, carved with dragon motif, chilong dragon hook. 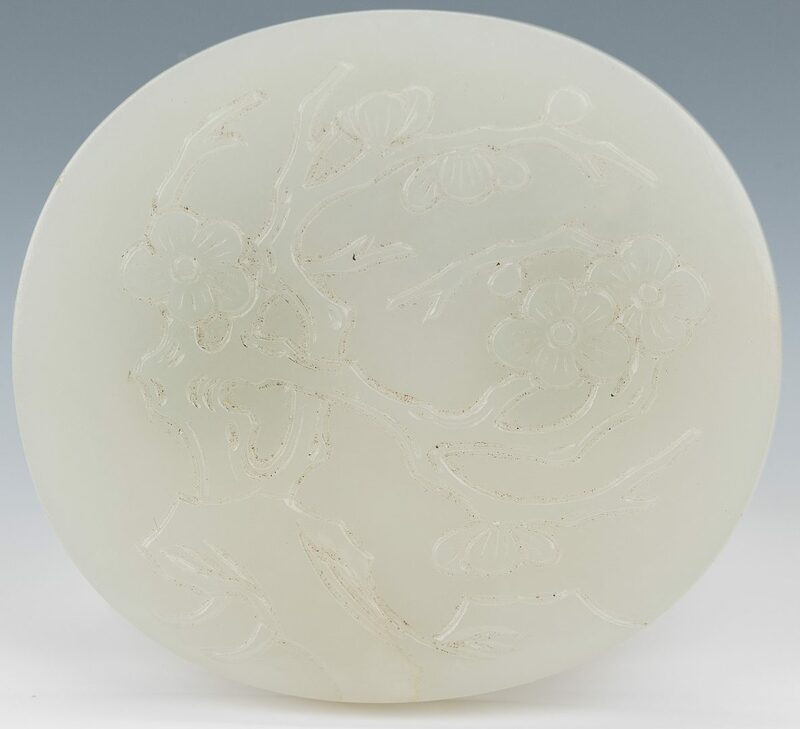 4 1/8" L. 2nd item: Chinese pale celadon jade belt buckle, oval form with carved flowering tree motif to the front and carved foliate designs to the hooks. 2 1/2" H x 2 1/4" dia. 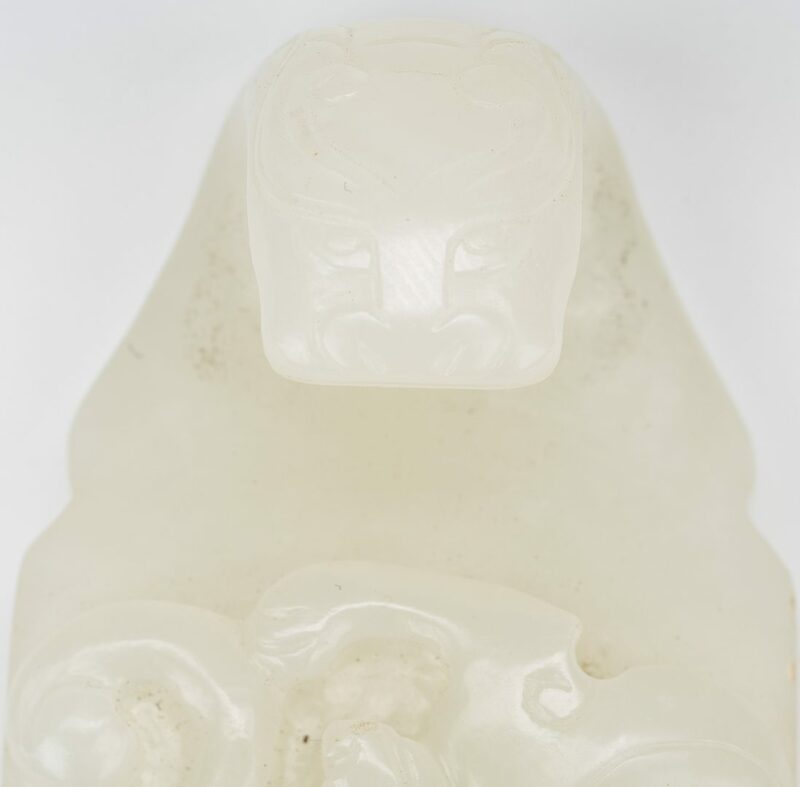 Both Late 19th/early 20th century. Provenance: Private West Tennessee collection. CONDITION: Both excellent condition.